Well that escalated quickly. Everyone was expecting Valve to take the stage at GDC this coming week to talk about their solution to the Virtual Reality problem, but I don’t think anyone in their right mind expected something to come out sooner at HTC’s MWC keynote. 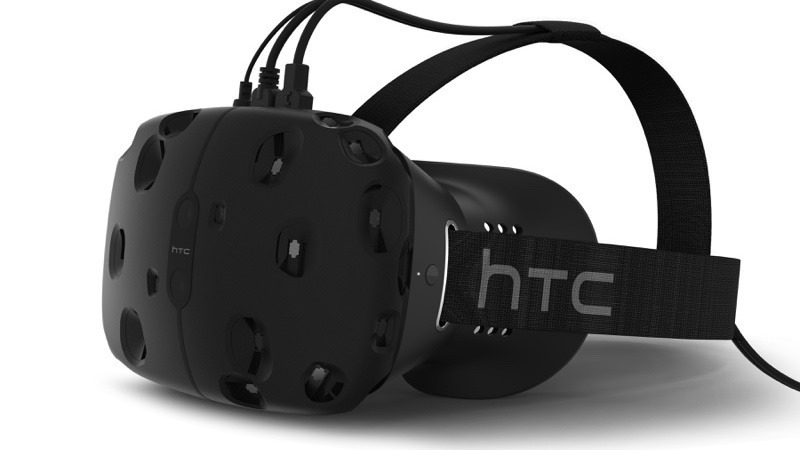 HTC is making a VR headset with Valve at their side, and it’s looking to give the Oculus Rift a run for its money. Firstly, HTC was quick to point out that their headset, called the Vive, is as much about gaming as it is about immersive experiences across the board. You’ll be able to seamlessly use the Vive not only with Steam, but services like HBO Go and Google. The large headset is said to be incredibly light on the head, featuring a 90Hz refresh rate and full 360-degree viewing. There was, however, no word on the native resolution. More interestingly though is word of hand tracking. The Oculus Rift achieves this somewhat with the use of a Leap Motion controller, but HTC and Valve seemed to have baked the feature right in. Players will be able to use special wireless controllers that can be motion sensed by the headset and projected into the game. A full Virtual Reality experience, if you will. HTC’s Peter Chou explained that the rise of virtual reality popularity is going to redefine the way we view modern social events. HTC’s conference in Barcelona is just about done, so I expect we’ll hear a lot more about the Vive in the days to come. Especially with Valve having a big presence at GDC this coming week.